Try some of these habits before you swear of running forever. So. Much. Running. At least that’s how it feels during those first few runs, when you decide that running is going to be your new fitness routine. But after a few running workouts, the body starts to adjust and you get your stride back. There are some people who just take naturally to running. They enjoy going out for a few miles either before or after a workout at the gym. And then there’s the rest of us, dreading every step and laboring from start to finish. BUT, there is hope! Check out these easy habits that motivate you to stat, or keep, running. Find a buddy. Partnering up with someone will help hold you accountable instead of flaking out last minute. Running with a partner will also help you with pacing so you can finish out the mileage you intended to do. 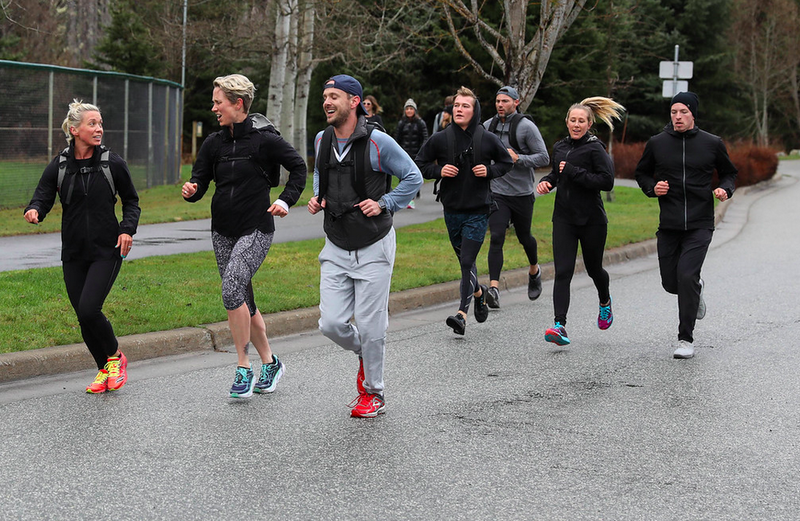 For extra motivation, try a local run club. Make it a routine. Commit to picking a day and time to run. For example, make every Sunday an active recovery day and go for a run or hit some 400m repeats at the track. In just a few short weeks the run will feel easier. Be realistic. First day 10k let’s establish my time! Wrong. Try a mile. In a few weeks try two. Training is a marathon, not a sprint (no pun intended). Keep it fresh. You don’t have to do the same boring mile every week. Switch up the scenery, the mileage, the rest time, etc. This will prevent you from hitting a plateau and also keep your interest peaked. Set a goal. Whether you have a 5k time you want to build up to or a specific race in mind, set a goal. Having your eyes on the finish line will help you stay consistent in your training. The repetitive motion of running is what draws us both to and from becoming a better runner. So before you write it off completely or become complacent in your training pace, try to develop some of these habits. Athletes with motivated habits see the most success in their training.